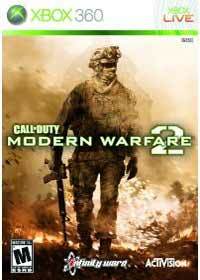 Call of Duty Modern Warfare 2 is a first-person tactical shooter and the 6th entry in the popular Call of Duty series. Sticking to it’s namesake and following the lead of its predecessor, Call of Duty: Modern Warfare, it puts players in modern day combat settings, as opposed to the WWII environments of the earlier Call of Duty games. 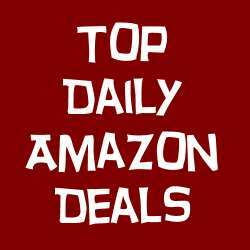 The modern day approach brings with it new weapons, action and options. Just Complete each achievement to receive the allotted gamerscore. Back in the Saddle (15)	Help train the local militia. Black Diamond (25)	Complete ‘Cliffhanger’ on Veteran Difficulty. Blackjack (20)	Earn 21 stars in Special Ops. Charlie On Our Six (20)	Earn 8 stars in Special Ops. Cold Shoulder (15)	Infiltrate the snowy mountain side base. Colonel Sanderson (10)	Kill 7 chickens in under 10 seconds in ‘The Hornet’s Nest’. Danger Close (15)	Get hand picked for Shepherd’s elite squad. Desperado (10)	Kill 5 enemies in a row using 5 different weapons or attachments in Single Player or Special Ops. Desperate Times (15)	Execute the plan to help the Americans. Downed but Not Out (10)	Kill 4 enemies in a row while downed in Special Ops. Drive By (10)	Kill 20 enemies in a row while driving a vehicle in Single Player or Special Ops. First Day of School (25)	Complete ‘S.S.D.D’ and ‘Team Player’ on Veteran Difficulty. For the Record (35)	Complete the Single Player campaign on any difficulty. Ghost (10)	Plant the C4 in ‘Cliffhanger’ without alerting or injuring anyone in the blizzard. Gold Star (20)	Earn 1 star in Special Ops. Homecoming (25)	Complete ‘Of Their Own Accord’, ‘Second Sun’, and ‘Whiskey Hotel’ on Veteran Difficulty. Honor Roll (20)	Earn at least 1 star in each Special Op mission. Hotel Bravo (20)	Earn 4 stars in Special Ops. I’m the Juggernaut… (10)	Kill a Juggernaut in Special Ops. It Goes to Eleven (20)	Earn at least 1 star in 11 different Special Op missions. Knock-knock (10)	Kill 4 enemies with 4 shots during a slow-mo breach in Single Player or Special Ops. Leave No Stone Unturned (10)	Collect 45 enemy intel items. Look Ma Two Hands (10)	Kill 10 enemies in a row using akimbo weapons in Single Player or Special Ops. No Rest For the Wary (10)	Knife an enemy without him ever knowing you were there in Single Player or Special Ops. Off the Grid (25)	Complete ‘Just Like Old Times’ and ‘Endgame’ on Veteran Difficulty. Operational Asset (20)	Earn all 3 stars in at least 5 different Special Op missions. Operative (30)	Earn all 3 stars in at least 10 different Special Op missions. Out of the Frying Pan… (15)	Complete the mission in the airplane graveyard. Pit Boss (10)	Run The Pit in ‘S.S.D.D’ and finish with a final time under 30 seconds. Prisoner #627 (25)	Complete ‘The Only Easy Day… Was Yesterday’ and ‘The Gulag’ on Veteran Difficulty. Professional (30)	Earn all 3 stars in at least 15 different Special Op missions. Queen takes Rook (25)	Complete ‘Loose Ends’ and ‘The Enemy of My Enemy’ on Veteran Difficulty. Red Dawn (25)	Complete ‘Wolverines!’ and ‘Exodus’ on Veteran Difficulty. Royale with Cheese (15)	Defend Burger Town. Soap on a Rope (15)	Storm the gulag. Some Like it Hot (10)	Kill 6 enemies in a row using a thermal weapon in Single Player or Special Ops. Specialist (30)	Earn 30 stars in Special Ops. Star 69 (90)	Earn 69 stars in Special Ops. Tag ’em and bag ’em (15)	Find Rojas in the Favelas. Ten plus foot-mobiles (10)	Kill at least 10 enemies with one Predator missile in Single Player or Special Ops. The Harder They Fall (10)	Kill 2 rappelling enemies in a row before they land on their feet in Single Player or Special Ops. The Pawn (15)	Assault Makarov’s safe house. The Price of War (90)	Complete the single player campaign on Hardened or Veteran Difficulty. The Road Less Traveled (10)	Collect 22 enemy intel items. Three-some (10)	Kill at least 3 enemies with a single shot from a grenade launcher in Single Player or Special Ops. Turistas (25)	Complete ‘Takedown’ and ‘The Hornet’s Nest’ on Veteran Difficulty. Two Birds with One Stone (10)	Kill 2 enemies with a single bullet in Single Player or Special Ops. Unnecessary Roughness (10)	Use a riot shield to beat down an enemy in Single Player or Special Ops. Whiskey Hotel (15)	Take back Whiskey Hotel. Just unlock the Killstreaks by receiving the amount designated before dying.